New varsity singlets have arrived! Tactfully, it had become apparent that there was a growing collective murmur of unhappiness with the white varsity singlets. Well, those concerns were brought forward to the Land of Lakes club meetings this past spring and acted on. And last week they arrived! The new singlets that were ordered look great! And, they will be unveiled at the Varsity’s first wrestling match on November 29 at Kenyon-Wanamingo. Many thanks go out to the Board and specifically Board Director Brian Deneen for all the work involved in spearheading the design! As a teaser… They are not white, but purple. Stay tuned to future posts… A picture may just show up. Below is a link to a nice article noting the gridiron accomplishments of Goodhue Wrestler and senior Kyle Drehmel in the first post-season game against Southland. Kyle had a great game, running out of the backfield for a total of 241 yards and two touchdowns. He also has a nice line blocking for him, composed of more wrestlers! Good luck to the Goodhue Football team as they continue their playoff-run against the number one seeded Blooming Prairie on Saturday night! Click on the apparel flyer image for a larger view. Once it appears in a new window, click again to zoom in/out. The Land of Lakes Wrestling Club has rolled out its annual apparel offering! Above are links that will open the order form. Click on either the PDF or Microsoft Word format to open the form and print. Use the Word file if you’d like to complete it digitally, then print and submit the form along with payment. If you’d like to see the apparel in person, the items will be on display in the school commons area (between Gyms #2 and #3) above the trophy cases. Submission Notes: Please write all checks out to “Land of Lakes Wrestling”. Also, as noted on the forms, you can submit the form with payment any number of ways: 1) in person at elementary wrestling registration night Nov. 14th, 2) at the 7-12 Parent-Athlete-Coach meeting in mid-November (date forthcoming), 3) in person to Coach Grant, or 4) left in an envelope for “Josh Grant” in the school office. 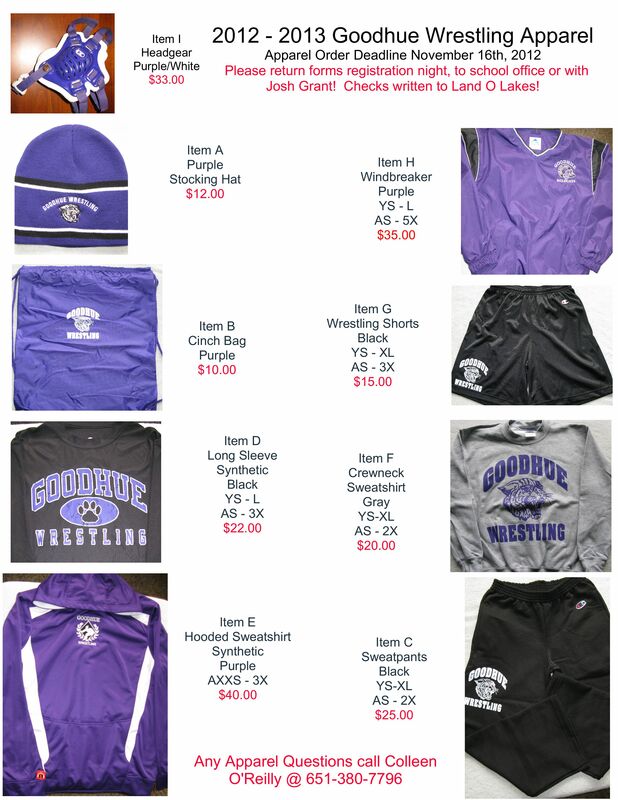 Please note orders are due by November 16th. Questions? Please contact Colleen O’Reilly (651-380-7796) with any questions or concerns. Colleen, along with Nicole Miller and Land of Lakes Board Secretary Kim Goplen are heading up the apparel offering this year! 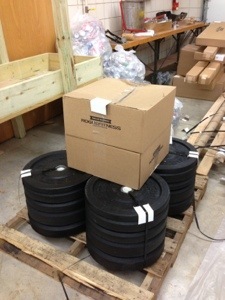 Goodhue wrestlers, as well as with other student athletes, will have plenty of new weight equipment to get stronger and faster with now. 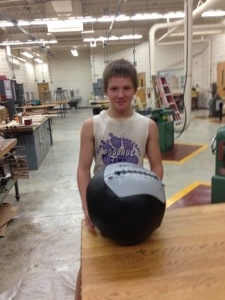 Some seventh and eighth grade wrestlers helped unpack some of the weight equipment last night. Some new items include many numerous bumper plates, three Olympic bars, three new benches, three new squat racks, farmers walk handles, medicine balls, kettle bells, bands, a sled, a trap deadlift bar, two training ladders, and a few more items. Some of these items were already in use tonight, and I’m excited to get all the wrestlers stronger and faster with this equipment! More pictures will come of Goodhue wrestlers training for strength, power, endurance, and mental toughness that will translate to success on the mat. 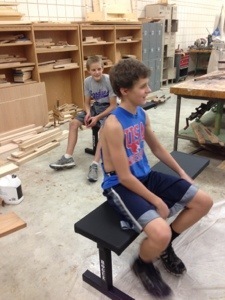 And right now the three squat racks are being assembled by Mr. Baker’s manufacturing class. They should be done within the next day or two. Starting November 7th, tutoring will be available after school on Wednesdays in the HS Lab. While teachers meet, paraprofessionals along with TNT members, student-athletes, and other volunteers will be on hand to help you with completing homework and projects. I want to encourage our wrestlers, especially our upper H.S. wrestlers, to sign up as tutors. This would be a great way to help out fellow students for an hour. So, before wrestling practice starts, please consider signing up for one Wednesday afternoon tutoring session! Also, if you need help in a certain subject or two, I encourage our wrestlers to take advantage of this opportunity to get your grades in line before the practice season starts. If you have any questions, please contact the School Counselor Jessica Holst (jholst@goodhue.k12.mn.us) or Coach Grant. As the Goodhue Football team continues its campaign into the last leg of the season, many young wrestlers are getting stronger for the upcoming season! 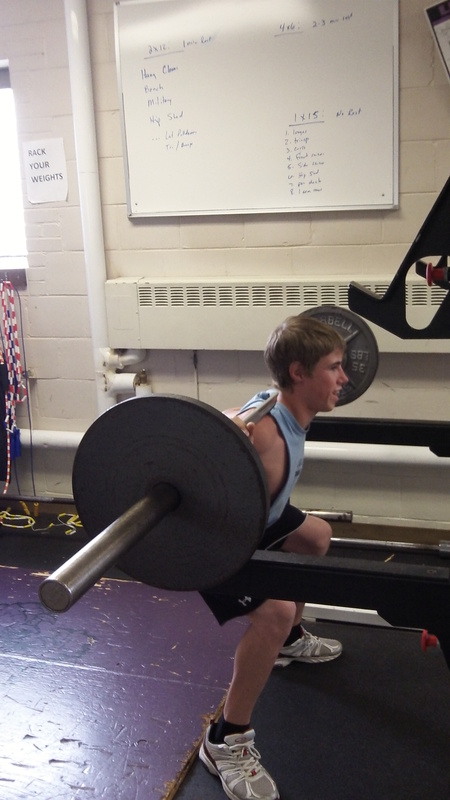 Here is Joel G. getting warmed up for his squat routine! What Makes Wrestling So Unique? Here is a good video that’s part of the NWCA (National Wrestling Coaches Association) campaign “I am a wrestler.” If you know someone, or it is you, who doesn’t quite understand why a person wrestles and loves wrestling, here’s a start to the answer.